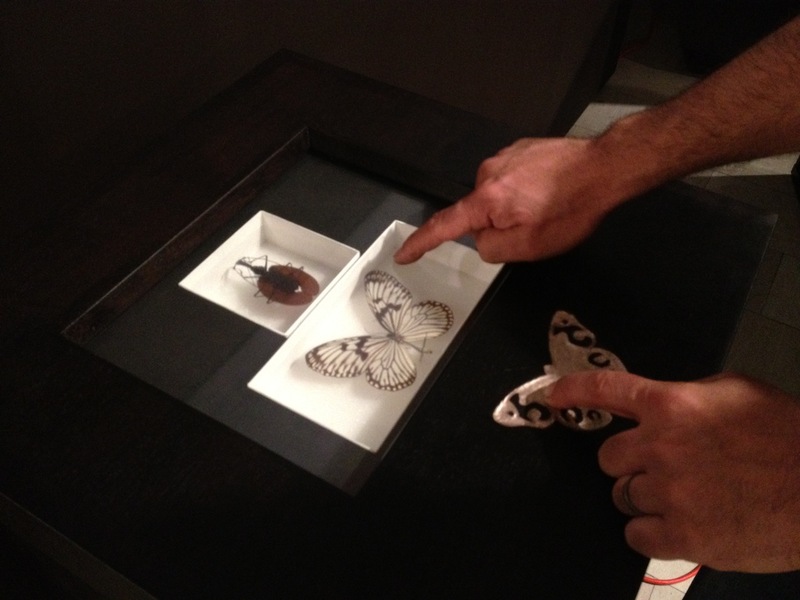 The Revel Technology has been used to create an interactive insect display case. Users could feel the insects' texture by sliding the finger on the glass, without actually touching them. This display case was demonstrated as part of the BugWork exhibit at the Carnegie Museum of Natural History in Pittsburgh, PA. The application of the Revel technology was developed with Mathieu Le Goc. The exhibition, including the display case, was designed by Mark Baskinger from the CMU School of Design.